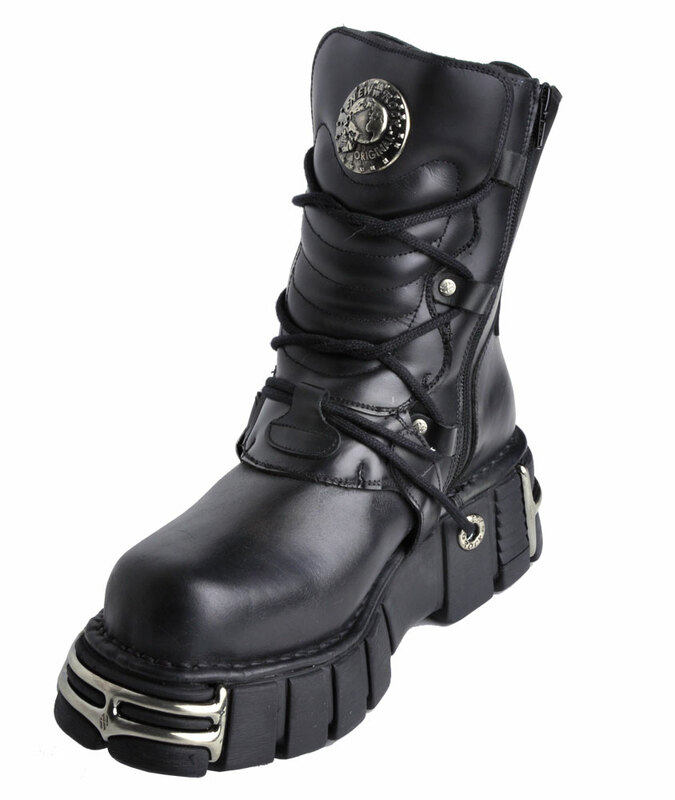 Black leather lace up boots with a three buckle shin plate, New Rock shield logo, lace-up front and a sturdy side zipper. 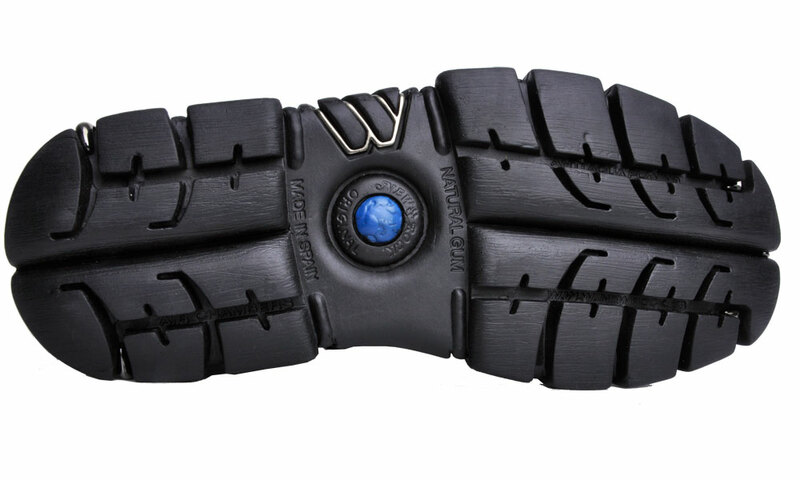 The platform has metal details and a grommet hole to pass the laces through. 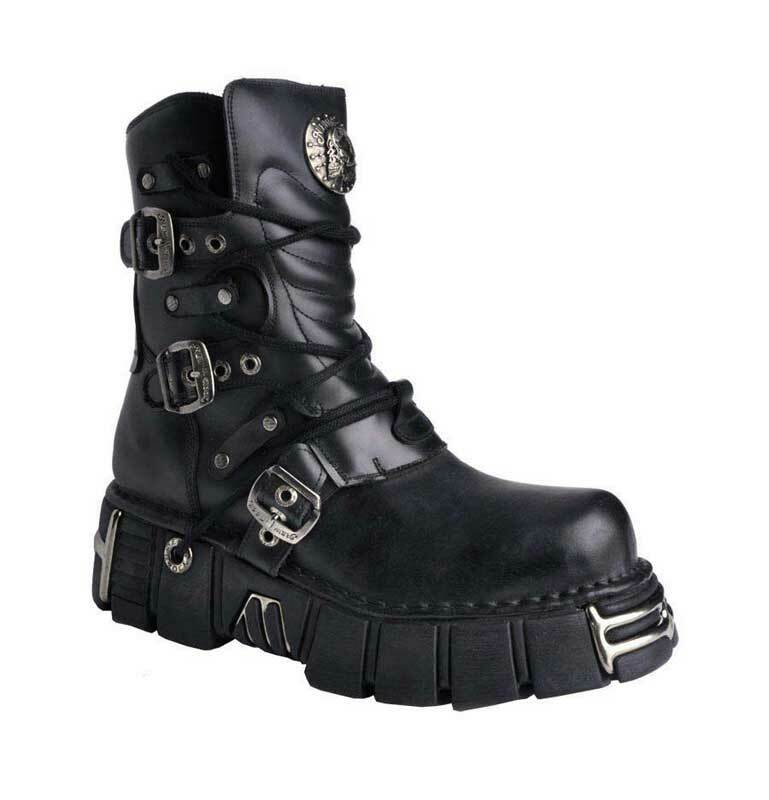 Imported from Spain, these boots have excellent workmanship and quality that you would come to expect from New Rock. 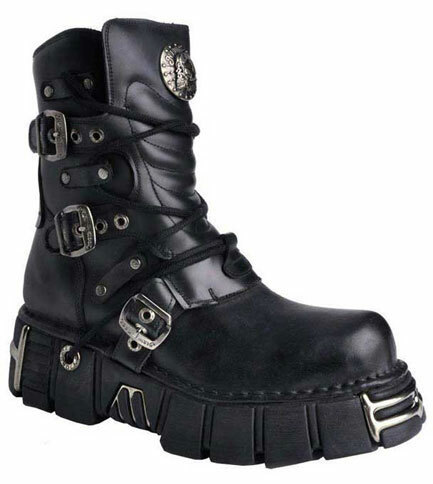 I really enjoy wearing these boots, very comfortable and last. Although New Rocks are very expensive, they are a great choice.